﻿ Patong Hemingway's Hotel, Phuket | FROM $17 - SAVE ON AGODA! 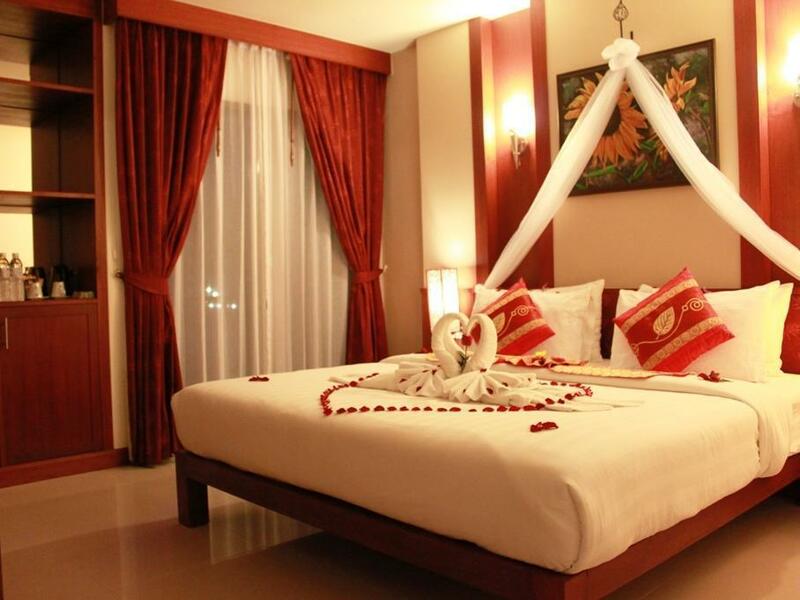 "The Patong Hemingway is right in the heart of Patong Beach e..."
Have a question for Patong Hemingway's Hotel? "Is it great location which just beside of Juncelyon shopping mall." "I will stay here again if i come to Phuket again." "Rooms are clean and well presented, everything worked proper..."
Nestled in the heart of Patong, Patong Hemingway's Hotel is an ideal spot from which to discover Phuket. The hotel is only steps away from the excitement of Patong Beach, yet offers a peaceful and refined ambiance to ensure guests a good night’s sleep. For sightseeing options and local attractions, one need not look far as the hotel enjoys close proximity to Jungcelon Shopping Mall, Bangla Boxing Stadium, and Patong Hospital. Offering hotel guests superior services and a broad range of amenities, Patong Hemingway's Hotel is committed to ensuring that your stay is as comfortable as possible. For the comfort and convenience of guests, the hotel offers a family room, tours, bar/pub, room service, and airport transfer. Step into one of 43 inviting rooms and escape the stresses of the day with a wide range of amenities such as internet access, a hair dryer, air conditioning, a refrigerator, and an in-room safe. The hotel's outdoor pool, golf course, and jacuzzi are ideal places to relax and unwind after a busy day. Whatever your reason for visiting Phuket, the Patong Hemingway's Hotel is the perfect venue for an exhilarating and exciting break away. "Awesome hotel ! Will stay again ." Checkin time is punctual but lack of manpower to handle. Please increase manpower to clean the rooms.Rooms I have book for 2 single bed but reach the hotel say not available for the single bed room if like that please don't advertise have single bedroom to trick customer to book. Excellent location : close to all clubs and millions of food options. Staff was very kind and great hospitality There was a water problem and was not sorted for at least 3 days. They should take straight actions atleast towards basic stuffs. Swimming pool was great with small little bar. The bar tender was amazing gave us free shots and allowed us to play our own music. Recommeded. Good staff ad great location just a few minutes walk from everything, relatively quiet. There is some building works going on in buildings around the hotel (Oct 2018) but this was never particularly bothersome. The pool on the roof is minuscule and there is very little shade but its a welcome break from the beach. If I was to go to Patong again, I would stay here. 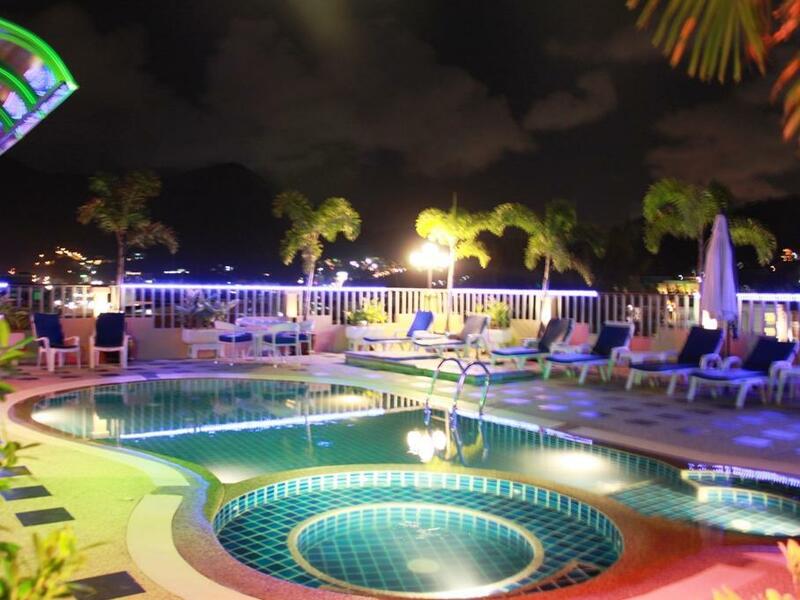 Good clean hotel with restaurant and roof pool, always clean and friendly efficient staff. Located in quiet street in very short walking distance from all activities in town . Great breakfasts, not a wide selection (1 Thai dish + bacon + sausages + eggs + cereal/toast), but what’s there is really good for the cost of the hotel. Likewise the location is excellent, as it’s right next to the shopping mall and soi bangla, but down a side soi so isn’t noisy at all. We had a problem with our aircon on one night, advised the staff and they were able to provide us with a fan then fixed it the next day (they offered to fix it that night but we told them we were tired so a fan would do). Great service. However, the hotel across the road (gig) fumigated on the 2nd day we were there and ever the room would be literally crawling with roaches when we arrived back each day. We’d see 10+ in the first 10 minutes after arriving each day, although most would hide once we were in the room for a while. We know it’s likely due to the fumigation from gig, & there are always roaches in Asia, it’s the climate, but this was a major downside of an otherwise awesome hotel. Only stayed for a week with another mate. We checked in @10:30pm and wasn't any problem and check was quick. I booked 2 rooms and they were next to each other which was awesome, didn't have to ask. Staff were very friendly and professional. Rooms are spotless and beds are comfortable. Cleaners were friendly and did a great job cleaning the room and fresh towels daily. Roof top pool is a little small but every time we used it was only us, so happy days. Nice little restaurant next to reception. Food was aroy! We had a late flight and was able to get late check-out for 100bht per hour:) didn't have to pay for extra night.. Location is perfect, close to everything but still quiet at night. Well done Patong Hemingway, I'll be returning. I'm not a big fan of the chaos and noise of the Patong/Bangla area, but was there to catch up with a good, long-time friend. Thankfully I found this little hotel that was far enough from the nightlife for a getway. Amenities were decent and the room was perfectly comfortable. The location is good & the staff are lovely & friendly. Can't think of any more positive. The room was small, the furnishing was tired & old. What finished it off for me was seeing bugs running around in my bedroom. Although booked for 4 nights, I had to leave after one night. Sorry, but I was quite disappointed. The staff were very friendly and helpful, however the hotel was very aged, especially the rooftop pool area, and the buffet breakfast was limited with choice with hot food always cold even when going to breakfast early. 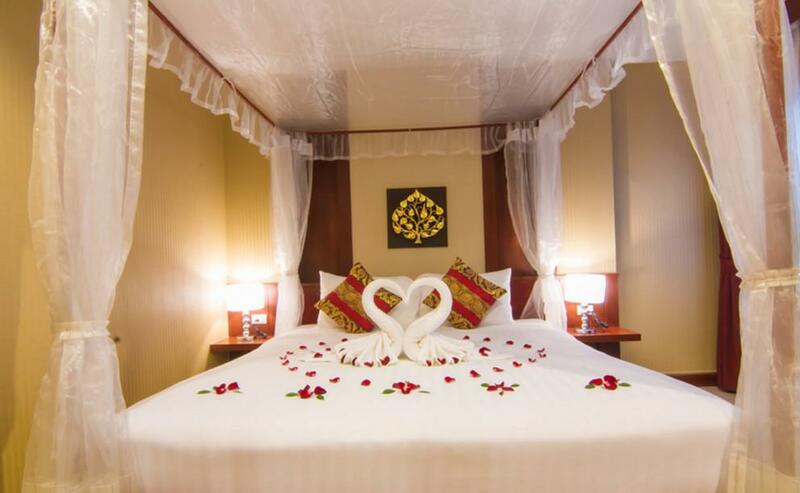 The hotel is a stones throw from Bangla Road which would be convenient for those wanting simply a bed to crash and and east walking distance to all the action. Would definitely not recommend though for couples or families looking to relax and unwind. This hotel is located very close to Bangla and all the action but yet we had a very quite room! Nice roof top pool and decent breakfast. Highly recommended! While in Phuket my friend had an heart attack and sadly passed away, the owner of this hotel Steve and his staff helped us so much I can never thank them enough, Toni who worked at the pool bar and Linda who worked at Hemingway’s silk hotel, you guys are a credit to Hemingway’s, thank you so much! It was really worth getting this place. I was offered a mini bus on the ferry from PhiPhi and it took me straight here. It's in a soi just off of. Bangla and pretty quiet despite the proximity,great for amenities. The staff are super polite and helpful, really good English. Room was lovely with really good bathroom. Although window was direct onto another window. Pool is nice but was closed for a private event for one night.